Ronald Bailey is the Science Editor of Reason Magazine, a print and on line journal dedicated to “free minds and free markets.” The focus tends to be Libertarian, secular, and technological. Most of the time I agree with the views of Mr. Bailey and his fellows at Reason, but we disagree on “worldviews.” For instance, he's been highly critical of Ben Stein's "Expelled, No Intelligence Allowed, the movie that exposed systematic discrimination against scientists who believe in a Creator or who are skeptical about evolution. Mr. Bailey is a strong proponent of transhumanism, the purposeful use of science and technology with a goal beyond enhancement or “better than well. “ He anticipates the posthuman, the next step in human evolution, but does not believe that the pre-born human organism is human or deserving on protection from killing. Bailey has debated the personhood or humanity of embryos with Conservative thinkers like Robert P. George and Patrick Lee on the pages of Reason, the National Review On-line, and both scholarly and popular books devoted to bioethics, embryonic stem cell research, and what it means to be human. In addition to reporting on the Summit, Bailey was one of the speakers, presenting on "The Democratic Threat to Transhumanism." (April 2009 version of the paper is here). they think their neighbors should get to vote on whom they marry? Whether one should be able to use contraception? Likely not. So why should people get to vote on whether a person can increase his or her healthy lifespan using transformative technologies? For example, using human embryonic stem cell lines to cure one’s illnesses? And why should balloting limit a person’s access to new reprogenetic technologies? 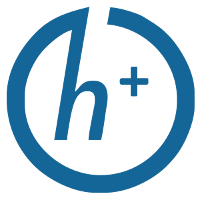 I then pointed out that contemporary history unfortunately shows that majorities in modern democracies are only too happy to ban technologies (e.g., stem cells, cloning) that are the precursors to transhuman progress. The problem with applying Mr. Bailey's non-interventionist policy to the technologies he wishes to use is that the effects of his actions are not limited to his own personal protoplasm. Forget social experimentation, he would use and harvest functioning organisms – causing them to cease to function - from the human lineage for his own personal gain without consent or benefit to the other organism. The act of intervening before the organism is capable of said consent or benefit does not make the use any less an act of aggression. Causing that organism to die is the ultimate "force or fraud." But, Bev, doe an early-stage fetus qualify as a person w/rights? While I do, believe it or not, somewhat sympathize with your concerns, your position (and its underlying premises and/or presuppositions) are nonetheless more-or-less question(s)-begging, and thus normatively argumentatively illicit. Surely, while in a rather robust sense being a potential person (and thus rights-bearer), it is simply, again, question(s)-begging to assert (or at least imply)--much less presume or presuppose--that an early-stage fetus (up to, say the middle of the 2nd trimester, or, at the very least, first-trimester) qualifies as anything more than a potential rights-bearing being, precisely as distinguished from an actual ("full-fledged") rights-bearing being. Up through the 3rd, or perhaps even 4th, month, the fetus is (1) not independently viable, and (2) not yet completely developed, cognitively (and neuro-psychologically in general), to even the level of a new-born. That is, it simply can't logically-coherently be considered a person, at least not for moral theory in general, and (and here's the real point, Bev...) at least not for purposes of "trumping" the rights (and/or utility-function, as it were) of someone who is incontrovertibly a rights-bearing being, namely, the human female carrying said fetus/embryo. The latter surely has the right to terminate a pregnancy up through, say, the 4th month. After that point, though, viability, personhood (albeit nascent personhood) and also the "but-why-didn't-you-abort-sooner-if-you-were-going-to-at-all-and-thus-avoid-viability-and/or-(nascent)personhood-concerns" thing all "click in" and act as a moral/legal barrier that would then preclude the woman from aborting a late-stage fetus. This, it seems to me, is an intuitively perfectly reasonable analysis and "line-drawing", which clearly also has the upshot of, not so much evading (or even avoiding) as simply obviating the whole "slippery slope" concern of conservatives that would try to argue that my position (or any sufficiently similar one) fails to allow for a firm line-drawing that precludes a slippery-slope descent into (seemingly "justified" or at least "justifiable") infanticide. My position does indeed avoid this, and perfectly reasonably. Infanticide being a rather strong deontic no-no is rather well-settled in both moral theory and law. 1. Are non-embryonic stem-cells "just as good" for this, that, and/or the other as are embryonic ones? Strong, cogent, plausible arguments exist on both sides of this question. BUT my point about the permissibility of (early-stage) abortion still holds, of course, and so, in this sense and to this extent, this first question is more-or-less moot. 2. What about getting (quasi-)fetal stem-cells from, say, the umbilical cord? Wouldn't this be a way to avoid having to obtain the necessary "kind" of stem-cells from embryos or fetuses? Well, yeah, maybe. But this, in/of/by itself simply does not "trump" or "override" the above argument re a woman's right to terminate an (early-stage, again, n.b.) fetus: In other words, one cannot force "society" to exclusively impose this "path" or "alternative" on a woman as a stumbling-block "trump" against her right to nonetheless go ahead and terminate (yet again, n.b., an early-stage) pregnancy. Certainly w/o careful argument to the contrary, any contrary position would simply, again, be utterly question(s)-begging as against the rights of such a woman (definitely, again, unlike an early-stage fetus, much less zygote or embryo, a rights-bearing being!!). 3. But now we come to a point of overlap and (I'm guessing) agreement, or at least partial agreement: Should YOUR (Bev Nukol's) TAX MONEY be used (obviously against your wishes in the sense of being used for something you find at least immoral, if not quasi-unlawful) to fund embryonic/fetal stem-cell research? And surely the answer is NO. Ideally one should be able to either specifically consent to such usage and/or be able to opt-out of this particular utilization of one's tax-money. People of your position on this issue should NOT be forced to fund it! And what is the fedgov doing "funding" such research anyway? Perhaps we need new political mechanisms (such as, say, a new sort of bond election) in which individuals can opt-in to helping with such funding, even varying (increasing, if need be) their contribution(s) so as enable the attainment, say, of a minimal threshold funding, yet those against it can simply opt-out of participating. Just my two cents. Would love to hear back from ya, Bev. You're a real pistol, and I always enjoying reading your stuff whether or not I agree with you! Best wishes always!